If you’ve ever spent time watching improvisational comedy, two things might have struck you: (1) this is entertaining and (2) this looks extremely hard. To many, the thought of being thrown an idea and being asked to improvise on the spot is downright scary. Perhaps a little less frightening is the idea of using improv principles and skills to break free from the patterns we believe define us and the stories we’ve been told about who we are. That’s the overriding concept behind Life Unscripted, co-written by Jeff Katzman, MD, and Professor of Psychiatry at the University of New Mexico School of Medicine, and Dan O’Connor, Founder and Artistic Director of the Impro Theater and Co-Founder of LA Theatresports. The book is due out in September from North Atlantic Books. Life Unscripted is a fun, bold and accessible self-help book that teaches practical, real-life skills and gives readers permission to be themselves, take risks and even celebrate their imperfections. 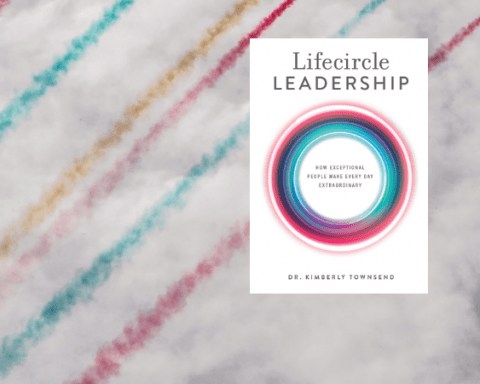 The book offers readers critical tools to enrich relationships, unleash the imagination and build a more meaningful life. The authors draw from contemporary understandings in neuroscience and psychology to explore the nature of our personal capacities and limitations. Dan O’Connor is a multifaceted actor, improviser, writer, and director. Dan is the founder and producing artistic director of the critically acclaimed Impro Theatre. He is a cofounder of BATS Improv in San Francisco and LA Theatresports. Dan is one of the world’s most foremost innovators in unscripted theatre. He is the on the advisory board of the International Theatresports Institute (ITI), which includes more than three hundred theatre companies and festivals globally. Dan is also an officially recommended ITI teacher and performer and is a member of the Applied Improvisation Network.He was an adjunct professor for USC ‘s BFA program. He has taught at DUKE, Pepperdine, UCSB, UCLA extension, the MBA Program at UT Austin, Cirque du Soleil, and for improvisational theatre companies and festivals around the world. He has written and directed television and is currently teaching and developing the Living Story Board” with Disney Animation. He consults with corporations and non-profits around the world on using improvisation to create a better world. Jeff Katzman, MD, is a professor of psychiatry at the University of New Mexico School of Medicine. He received his BA at Stanford University and went to medical school at the University of California, San Diego before going to UCLA for his psychiatry residency. He is currently the vice chair for clinical services and academic affairs at the University of New Mexico and the chair of the Education Committee of the American Association of Psychoanalysis and Dynamic Psychiatry. Jeff has studied improvisational theater for thirty years. He has used the techniques of improvisational theater to teach collaboration, spontaneity, access to the imagination, and the importance of play and a good time to patients, scientists, psychiatry residents, psychotherapists, and leadership teams. His novel The Storymaker was a quarterfinalist in the Amazon Breakthrough Novel Competition. He lectures at conferences across the country each year on psychodynamic psychotherapy, attachment, and applied improvisation.